For the last few years I´ve been fortunate enough to visit several European countries. I have found that each time I learn about our destination the same way. I look up some of the places on the internet ahead of time, read the guidebook (usually on the airplane), and then read about the specific destination again just before going there. After the visit, I often reread the guidebook and highlight where we´ve been. 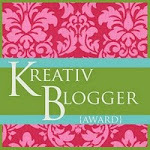 Then I write about it in my journal, e-mails, blogs, or on Facebook. It takes me that amount of reading and writing for me to assimilate the information and make it my own. My most recent trip was to Spain to see our daughter who has been studying in the northern city of Oviedo. To be honest, the tour book didn´t give this city justice. I expected diversity in the restaurants, but was surprised to also find ancient wells and churches in the middle of new, cosmopolitan streets. In the city park I heard one peacock calling loudly to another sounding a lot like a cat's loud "meow,"
and saw replicas of Roman (left) and Celtic (right) homes. I enjoy each of these discoveries. All of these sensory experiences reinforced what I had read; my travel "classroom" would have been less rich without each one. My experience is not unlike your students who use multiple learning modalities to process information. We all learn through visual, tactile, auditory, and kinesthetic stimuli. But as S.D. Powell, an author with PBS Parents writes, "the more senses or modalities we can activate the more learning will take place." You probably can't take your students to Europe to reinforce a history or geography lesson. But you can integrate several different modalities into the learning environment of your classroom. Encourage your students to find information in a variety of sources, to listen to music, to cook and taste food from another culture or time period, to . Their "book" learning will be enhanced by their sensory experiences. Then, let them write an e-mail to a relative, post a blog about it, twitter it, or write about it on Facebook. They can write a poem, a free write in their journals, use it as part of an expository paper, or as something a character in a story enjoys. As for me, I know I´ll never forget the sounds of peacocks or the taste of octopus soup. And thank you for letting me share them with you. On Wednesday there was an article in the Charlotte Observer about two men who work with the 48-story Duke Energy Center in downtown Charlotte. They are setting up light displays that will coordinate with a variety of holidays and special events. I thought this was a very appropriate cartoon in today’s paper by Kevin Siers. "That line from Lewis Carroll's "The Walrus and the Carpenter," reminds me that it's time to talk not of "shoes and ships and sealing wax" or even of "cabbages and kings." 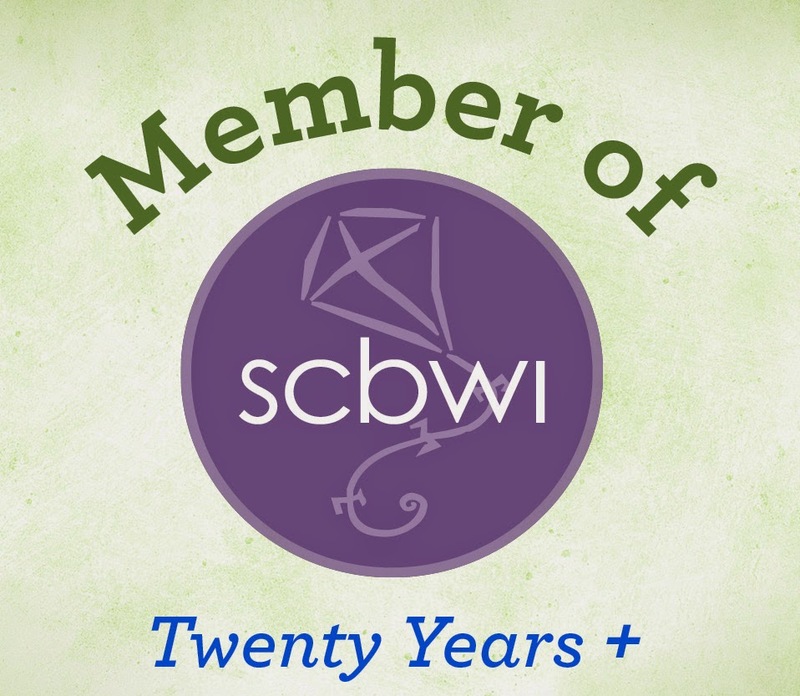 "But of the public libraries of Charlotte and Mecklenburg County and whether the City Council and the county commissioners are going to do the right thing to keep 12 remaining branch libraries from closing on July 1. "Mayor Anthony Foxx had a great idea: How about the city giving the libraries a one-time financial bailout of $2 million? "No, the city doesn't owe the county a dime. Nor is it in any way obligated. "But this year, the city's budget is in far better shape than the county's. "As council member Ed Peacock said, "Under these dire times, how can we not consider lending a hand, throwing them a line on this one occasion." "Other council members seem to have their ears full of sealing wax on the subject. "That $2 million wouldn't save the day, of course. We'd still need $1 million in donations from the surrounding towns, and another $5 million from the county. "In the little town of Garner, near Raleigh, the Wake County commissioners threatened to close its Southeast Regional Library, known locally as the Garner Library. "The townspeople wouldn't hear of it. They showed up 500 strong at two commissioners meetings. Thanks to them - and to "late-appearing revenue" - that library seems to be saved. "Here in Mecklenburg, we are talking about only enough money to keep the remaining 12 branch libraries open for one more year. Four of the original 16 are already due to close in June. "Libraries Director Charles Brown told me Monday that if the worst happens, "it will take years, if not decades, to rebuild on what is widely considered to be one of the most successful urban libraries in the nation." "Stop the worst from happening. "The City Council's final budget vote is June 7. The county adopts its budget June 15. "Start e-mailing our City Council members and commissioners today. Tell them what it means to you to use your neighborhood library's computer for job and college applications, to borrow books you can't afford to buy, to sit in its air-conditioned comfort to feast on magazines. "Tell them how, thanks to the library, your children now read with flashlights under the covers, how one book has led them to another, until the habit of intellectual adventure has taken firm root. Tell them that libraries teach kids to strong-arm boredom. "Tell them that some things on the budget, and in life, are negotiable. "But that the pursuit of knowledge - free, accessible and open to the public - never is." If you homeschool your children, you might want to check out this blog for a variety of helpful tips. Although the website appears to be dedicated to helping students find the appropriate online college, there are also numerous resources for students of all ages. The 101 suggestions (or "lifehacks") include links for math, planning, time management, history, and socialization. In our last issue of Talking Story for this academic year, Joyce Hostetter and I offer some fun family and classroom activities, four cool giveaways, and several book reviews. If you haven’t already subscribed, you can still do so by clicking here. In addition, we announce two book developments. 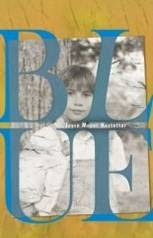 Joyce’s book Blue has just been released in paperback which is a huge step for an author. “Blue in paperback is more affordable for the reader who doesn’t have deep pockets.” Joyce explained. “And paperback also travels better on vacations! Also, certain reading lists or programs like ‘Battle of the Books’ favor titles that are available in paper.” You can find a brief review of Blue on my blog here, or more lengthy reviews here. 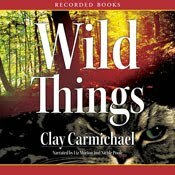 Secondly, Clay Carmichael, whose book Wild Things I reviewed this spring, is excited that her book was just released in audio format. "I'm thrilled and grateful to see that Wild Things continues to enjoy such success and to see the audio format expand readership.” Clay wrote in an e-mail. 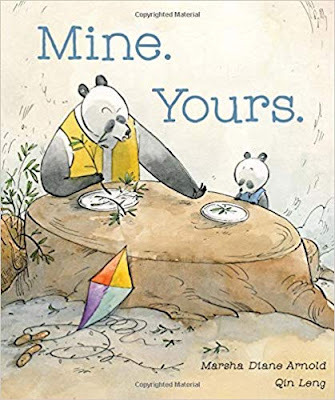 “Last week the book was named a 2010 Bank Street College Best Children's Book and nominated for the 2010-11 North Carolina Children's Book Award--nominated by NC, which please me no end." I’m proud of both of these North Carolina authors. Both books are great reads for upper elementary school students and if you’re looking for good summer reading for your students or children, I heartily recommend both. As educators and parents we’re always thrilled when we connect with a student or child. That was my experience while working with a student who is a part of the tutoring group I coordinate. A joint ministry of Christ Covenant Church and Covenant Day School, the group has met once a week for three years. This year I initiated a “teaching time” at the beginning of the hour in which the adult and teen tutors took turns teaching about any subject that interested them and which the boys might enjoy. Presentations included talks on nutrition, choosing a college, playing the guitar, being an airplane pilot, and (I must admit) I slipped in a few writing mini-lessons. Since I just returned from Spain, a mini-lesson on the country was in order. I spread out country maps on the floor as well as the Madrid map which was published by McDonald’s. They had fun locating the restaurants and then checking out the coins I had brought home. The boys devoured the chocolate candy, but weren’t fans of the anise cookies (not too many people are) that I had bought for one Euro. Several students drifted away to do their homework, but Patrick who is just finishing fifth grade, stayed to look at pictures on my laptop. For three years Patrick has preferred to work alone and rarely met my gaze. Suddenly, animated conversation flowed between us. First he asked me if I had met any British people. This led to a conversation about the Revolutionary War Then he asked me if I had met Sir Isaac Newton. A quick math mini-lesson later, we were looking at my pictures from Spain. When I showed him pictures of Toledo, a medieval city, we talked about why ancient cities were surrounded by walls. I pointed out that just as these city’s inhabitants were protected by the walls, God is our protector. “For thou hast been a shelter for me, [and] a strong tower from the enemy.” (Psalm 61:3) He nodded. And how every town had it's own church. I told him how the swords from The Lord of the Ring were made in Toledo. We looked at buildings, statues, plazas, and an old Roman well surrounded by the city of Oviedo, where my daughter is studying. We didn’t finish going through my pictures and I was surprised when I looked at my watch and there were only five minutes left before it was time to go. Teachable moments. I had about forty of them that day and they were each precious. Looking at them, I remembered an article that I had read a few years previous in the Journal of Adolescent and Adult Literacy. According to Laurie MacGillivray and Margaret Sauceda Curwen, authors of "Tagging as a Social Literary Practice" (Journal of Adolescent and Adult Literacy (pp. 354–369) doi:10.1598/JAAL.50.5.3), tagging is "not simply an act of vandalism or violence; it is a social practice with its own rules and codes—a literacy practice imbued with intent and meaning." The authors found that tagging accomplished several purposes. It sustained social relationships, was a form of dialogue and conversation, was a means to declare membership in a particular tagging crew (which was safer than a gang), provided commentary on larger societal issues, and a way to display talent. The authors recommended that, "When educators open up the curriculum using students’ everyday literacy interests as starting points, they can also attend to issues of power, authenticity, and culture embedded in the social practices (p. 368). Something to think about next time you see graffiti, tags, or street art. As a writer, I believe that words matter. Each one a writer chooses to use reflects an heart attitude and should convey a specific meaning. The same is true for the spoken language. I´ve been hearing ¨"whatever" more and more and it bugs me. It´s a word of defeat, apathy, and surrender. It does not equal peaceful acceptance nor is it learning to embrace trials and the concomitant growth they produce. I agree that we all must choose our battle grounds and we´d be perennially exhausted if we fought over every issue in our lives. Many years ago, when I was a new, overwhelmed mother, a friend counseled me to "pick my battles." I followed that advice. That didn´t mean hiding my head in the sand or avoiding all confrontations. It meant (to switch metaphors) knowing what it was worth going to the plate about. Parents don´t tell their toddlers "whatever" when they´re having a tempter tantrum or permit their teenagers to drink and drive. Friends don´t look away from friends who are flirting with breaking their marriage vows, a community doesn´t ignore a judge who takes bribes, and a nation doesn´t turn its back on a lying president.